YouTube has been designed to only allow users to watch and view videos on their website. Many users want to save their favorite videos to their computer so they can watch them without being connected to the Internet or so they can watch them on other devices. Also, there are users who just want to convert the Youtube video to MP3 for their MP3-player. In conclusion, there are three main questions about Youtube video downloading. How to download Youtube video? How to convert Youtube video to MP4, AVI, MKV,iPod, iPhone, iPad, PSP, Android? How to Convert Youtube video to MP3 for MP3-player? If you want to learn more about one of these questions, keep reading! With this Free Youtube Video Downloader and Converter, we will solve these questions easily and quickly. 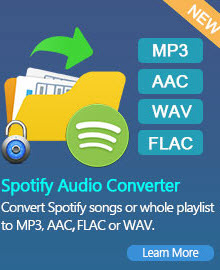 Any Video Converter Free is a free and versatile Youtube video downloader. With this free Youtube Downloader, you can download Youtube video easily, convert Youtube video to any video format and extract audio from Youtube. YouTube videos are now available in a range of quality levels, such as standard quality (SQ), high quality (HQ) and high definition (720p, and 1080p HD), this Free Youtube downloader will give you choices to choose the quality according to your need. Besides downloading video from YouTube, It also supports downloading videos from Nico, Veoh, Facebook, MetaCafe, Howcast, LiveLeak, Myvideo.de, MTV, etc. Tutorial 1: How to download Youtube video? With this free Youtube downloader, downloading Youtube video should be a piece of cake. Step 1: Please download and install Free Youtube Downloader. Step 3: Click "Download" Button and paste YouTube URL to the pop-out box. Then click Download Button, choose video download format/quality and start downloading. Tutorials 2: How to convert Youtube video to any format you need? This free Youtube downloader is also a free YouTube converter. It offers you the easiest and most convenient way to download the YouTube video and convert it to any format you need. Step 1: Please download and install free Youtube video converter . Step 2: Refer to Tutorial 1 to download the Youtube video you want. Step 3: After downloading process finished, go to right-top of the program, click "Output Profile" and choose the format you need in the profile drop-down list. Step 4: Click "Convert" button to start converting videos. Once the conversion is finished, you can click "Output Folder" button to get the output files. Tutorial 3: How to Convert Youtube video to MP3 for MP3-player? 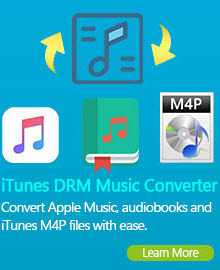 Step 1: Please download and install free Youtube to MP3 converter . 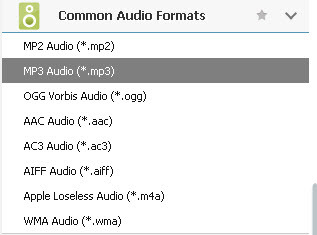 Step 3: After downloading process finished, go to right-top of the program, click "Output Profile> Common Audio Formats" and choose "MP3 audio (.mp3)" in the profile drop-down list. Step 4: Click "Convert" button to start converting videos. Once the conversion is finished, you can click "Output Folder" button to get the output audio files.